With effect from Thursday 12th July 2018, the Parish Office will be opened on Thursdays and Fridays from 9am to 2:30pm. Thank you to all who attended our celebration on 8th April. Thank you to Mark Sarmiento who conducted the ceremonies, the children who performed and to the volunteers who helped with the preparations for the day. Lastly, let us express our thanks to God for His Blessings on our Parish. 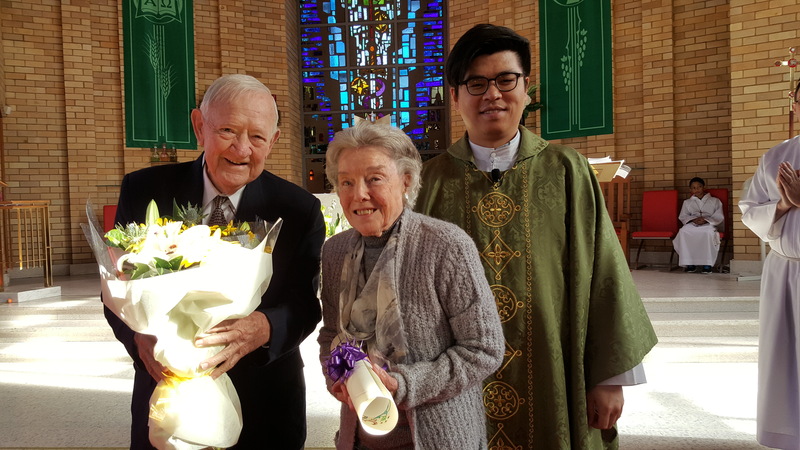 The celebrations were held on Sunday 8th April 2018. 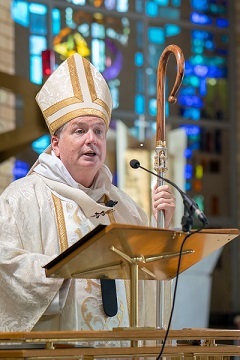 A thanksgiving Mass at 10am was celebrated by Archbishop Anthony Fisher OP. 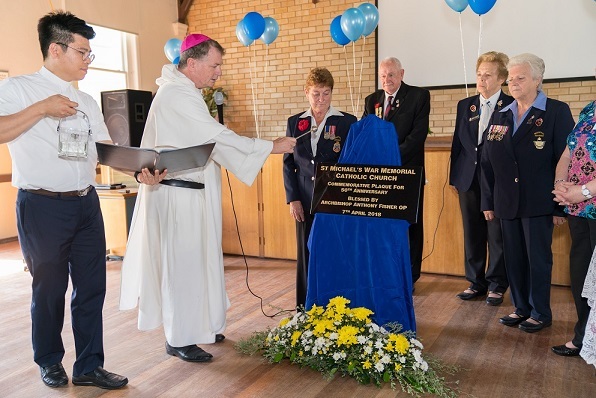 Following the Mass, a special plaque was blessed and unveiled by Archbishop Anthony and representatives from the Mascot RSL Club. Fellow parishioners and invited guests then enjoyed a light lunch and entertainment in the Parish Hall. Stations of the Cross every Friday during Lent at 7pm in the Church. Monday 1st Jan 2018; Mon 2nd April 2018; Wed 25th April 2018; Mon 11th June 2018 and Mon 1st Oct 2018. 11pm Sunday 24th December (Midnight Mass). Carols start at 10.30pm. Christmas Day Monday 25th December 10am. Boxing Day Tuesday 26th December 9.15am. New Year's Day Monday 1st January 2018 Solemnity of Mary, the Holy Mother of God 9.15am. Saturday 16th December 6pm to 9pm after the Vigil Mass in the Parish Hall. Please bring a plate to share and decorations for your table. 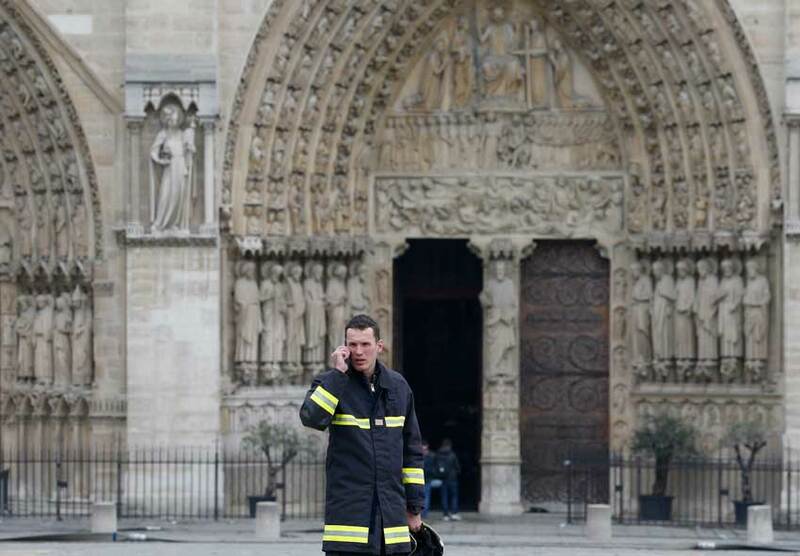 On public holidays, the Church will be closed after Mass. St Michael's Feast Day will be celebrated on Sunday 24th September 2017 with a Thanksgiving Mass at 10am followed by a sausage sizzle in the Parish Hall. All are welcome. (There will be no procession this year). Mass times for the Feast of the Assumption of the Blessed Virgin Mary (Day of obligation): Tues 15 Aug 2017: 7:30am, 9:15am (school Mass) and 7pm. Farewell Rose Houghton...After 17 years of dedicated services to our Parish, our Sacristan, Rose, is leaving. May God bless her and keep her in His loving care as she embarks on the next stage of her life journey. We will miss you, Rose and no-one will be able to replace you as one of the "pillars" of this parish! 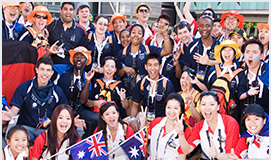 Please pray for our WYD 2016 pilgrims as they leave for Krakow, Poland via the Holy Land on Saturday 16th July. 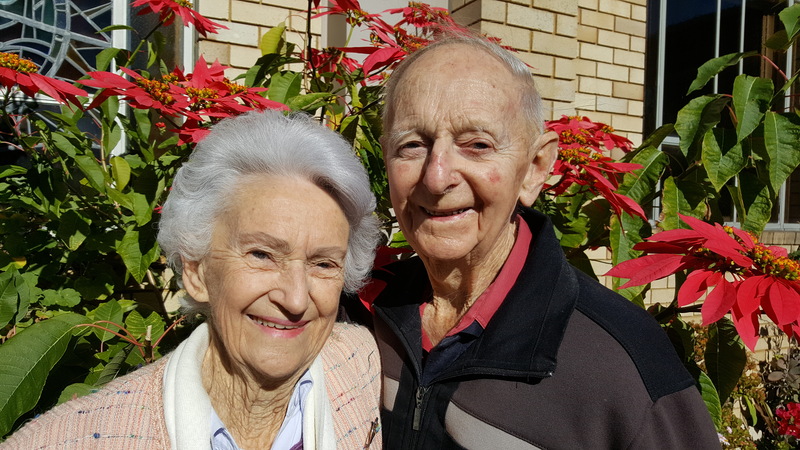 Congratulations to Vonnie and Ross Meyer on the occasion of their 65th Wedding Anniversary on 28th June 2016. Vonnie and Ross were married in our Parish on 28th June 1951. A Papal Blessing will be presented to the happy couple in due course. on the occasion of their 60th wedding anniversary. Seen here with Fr. 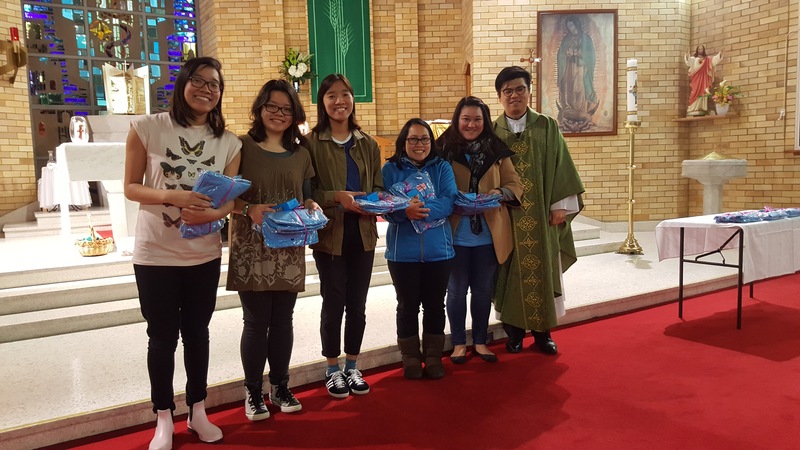 Moses Kim who blessed them and presented to them a Papal Blessing. Francis and Jean were married in our church on 9th June 1956. We extend a very warm welcome to Fr. Moses Sejin Kim our new Parish Administrator. Fr. Moses comes to us from St. Declan's Penshurst. We thank Fr. John, the Parish Priest of St Declan's and his community for their great support of Fr. Moses during his three years with them. We will continue to extend this similar gesture to Father during his term with us. May God bless Fr. Moses in his new pastoral role at St. Michael's. Thank you to Most Rev. 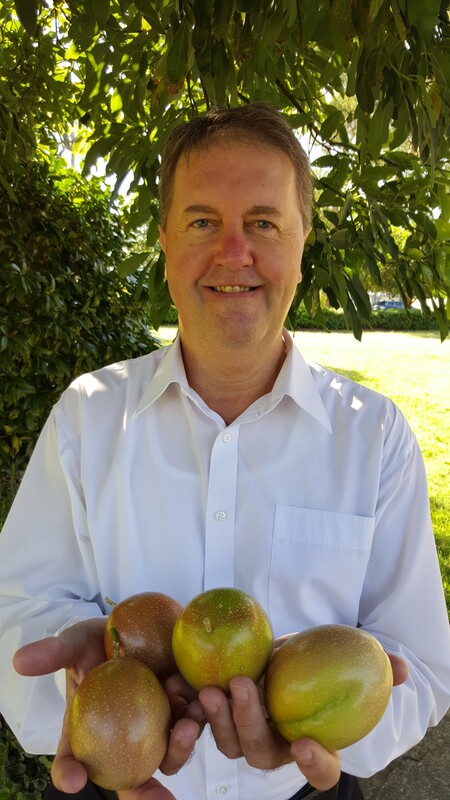 Kelvin Lovegrove for stepping in as our Administrator from 1st February 2016 to 17th May 2016. May God bless you as you continue in your pastoral duties as Episcopal Vicar for Clergy. L-R: George Diab (acolyte), Fr. 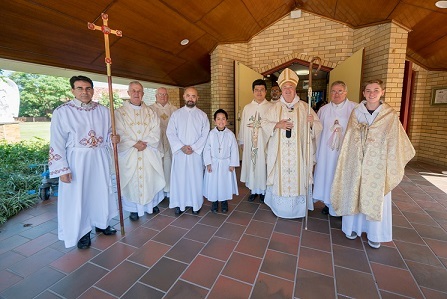 John Hayes (Pagewood Parish), Fr Abraham Augusthy (Botany Parish), Fr Bob Stephens (retiring Parish Priest, Como-Oyster Bay), Fr Laurie Cauchi (Malabar Parish), Fr John De Luca (retired), Magdi Zarzour (acolyte), Romano Yang (acolyte), Fr Jerzy, Fr Anthony Simari (retired), Fr Kelvin Lovegrove (Administrator, Daceyville), Fr. Gerald Gleeson (Vicar General-Archdiocese of Sydney) and Fr Martin Wilson msc. After nearly 17 years of dedicated pastoral and spiritual guidance of our parish community, our Parish Priest, Fr. Jerzy, celebrated his final Mass on Sunday 31st January 2016. 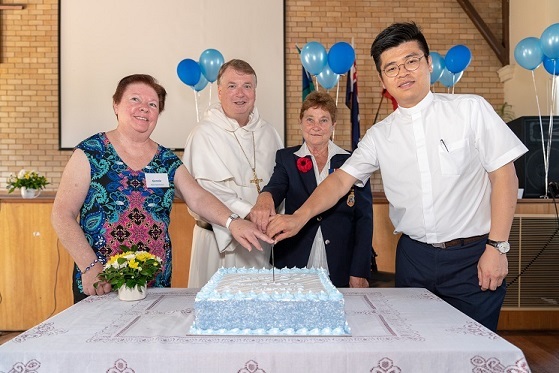 Some 350 parishioners and friends turned up for his farewell. The Parish also welcomed 9 visiting priests, especially the Most Rev. 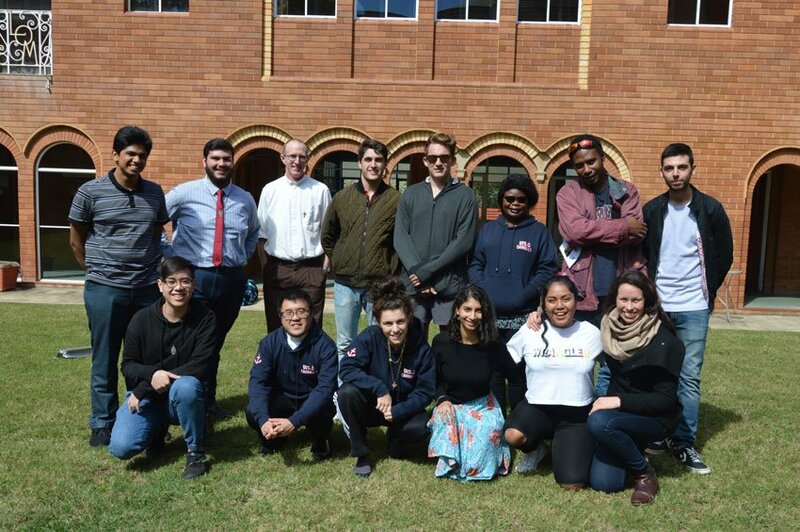 Gerald Gleeson who is the Vicar General of the Archdiocese of Sydney, who concelebrated Mass with him. After the Mass, many gathered in the Parsih Hall for supper, farewell speeches, and entertainment. Fr. 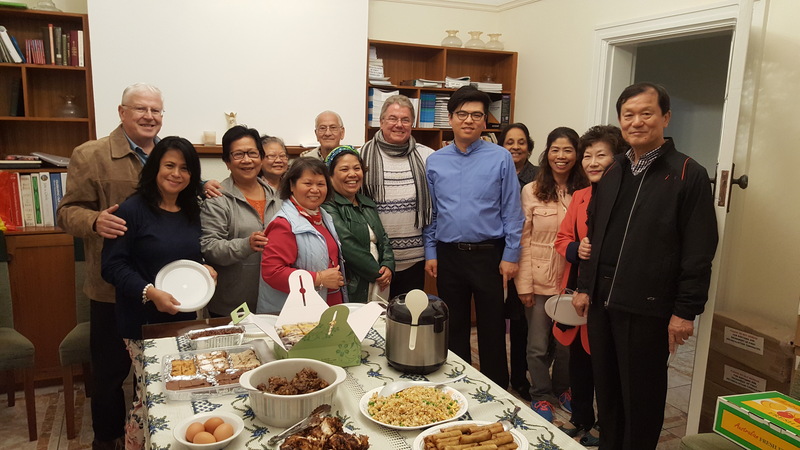 Jerzy has faithfully served his people here for 17 years, and has recently begun his new appointment as Parish Priest of St Joseph's Como-Oyster Bay. 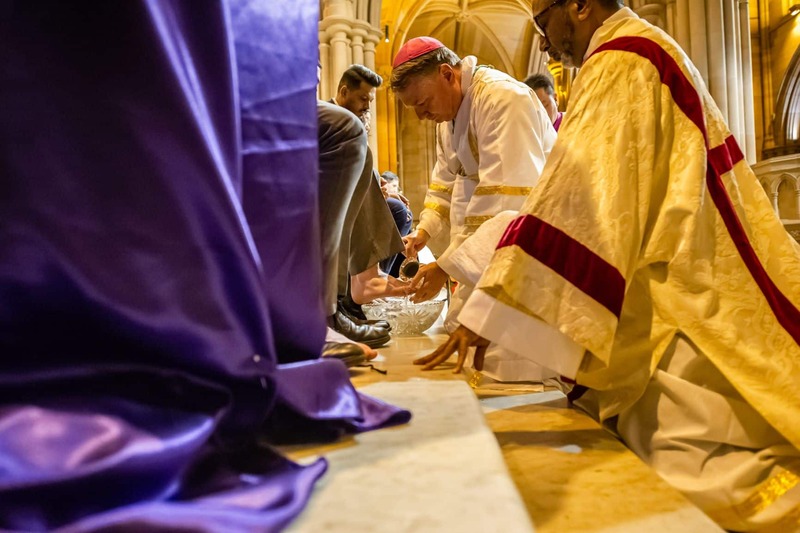 During his time here, he endeared himself to all, and worked zealously to bring the whole parish community together in worship, and, at social functions. He dedicated his time to being amongst his people, and, providing opportunities for everyone to assist at Sunday/weekday Masses regularly, and to receive the Sacraments. All who attended Fr. 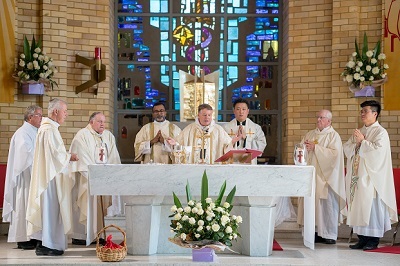 Jerzy's farewell expressed their gratitude to him, and wished him well with prayer, as he embarks upon his new mnistry. Welcome to St Michael's Parish, Daceyville website. The suburb of Daceyville, from which the Parish of St Michael's takes its name, is unique in Australia and possibly the world. 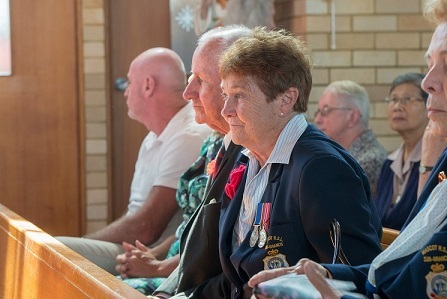 The Parish of Daceyville covers Daceyville, most of Kingsford and some of Pagewood but it is Daceyville which gives St. Michael's Parish its character. In its early days, Daceyville was often known as Dacey Gardens or even the Dacey Gardens Model Suburb. We are a welcoming community, baptised in the name of our Lord Jesus Christ. We break the one Bread; we share the same Hope in the Risen Lord; we place our trust in the Living Word; we acknowledge the divine Commandment of Love; we worship the one Trinitarian God, the Creator of All. Blessed Michael the Archangel, defend us in the day of battle. Be our safeguard against the wickedness and snares of the devil. May God restrain him, we humbly pray, and do Thou, O Prince of the Heavenly Host, by the power of God, thrust Satan down to hell and with him, all the wicked spirits who wander through the world for the ruin of souls. Amen. 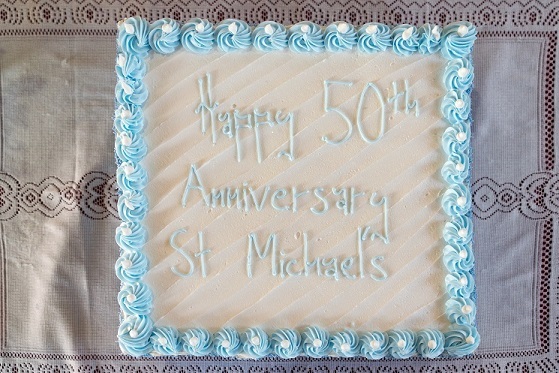 OUR MISSION STATEMENT: "We, the people of St Michael's Parish, Daceyville, are called by the Lord, to be prayerful, compassionate, servants of all people. We nourish our spiritual life by Word of God, Sacraments and continual Formation and Prayer. Empowered by the Holy Spirit, we share all the gifts received from Him with people living here and coming from afar. We promote universal values of equality, fraternity and truth. We commit ourselves and prompt others to build a Community of Faith and Love for the Greater Glory of God."